NASDAQ-listed South African payment solutions and transaction processing company Net 1 UEPS Technologies Inc. has signed a subscription agreement with India's digital wallet firm MobiKwik. As part of the partnership, Net1 will invest $40 million in MobiKwik, and will integrate its Virtual Card technology across MobiKwik wallets. “We are excited to partner with one of India’s most utilised digital platforms, through which we can introduce our products and services. Many of our solutions, most notably Universal Electronic Payment System (UEPS)/EMV, are tailor-made to provide multiple financial and other services, increase accessibility, eliminate fraud and reduce cash," Belamant said. Belamant said it expects the investment to accelerate the South African company's ability to build scale in India. Gurgaon-based One MobiKwik Systems Pvt. Ltd, which runs online recharge platform and mobile wallet venture MobiKwik, raised $50 million in its Series C round led by Japan's GMO Payment Gateway and Taiwanese semiconductor company MediaTek, in May this year. Existing investors Sequoia Capital and Tree Line Asia also participated in this round. The company had, in April last year, raised $25 million (over Rs 150 crore then) in a Series B round of funding led by Tree Line Asia. Cisco Investments, American Express and Sequoia Capital also participated in that round. Earlier, it had raised under $5 million in a Series A round from an unnamed VC firm. This is believed to be Sequoia Capital. 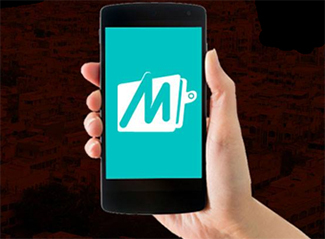 Founded in 2009 by Bipin Preet Singh and Upasana Taku, MobiKwik enables prepaid mobile, DTH and data card recharges, post-paid mobile bills payment and utility bill payment for electricity, gas and landline connections. It also offers these services via SMS, phone and apps that are available for Android, iOS and Windows platforms. It claims to have over 32 million users and 100,000 retailers on its platform. “We value our partnership with Net1 and look forward to learning from their best practices in serving the un-banked and under-banked users, while taking progressive steps towards making India a cashless economy," Taku said in a statement. Net1 operates payment processors in South Africa and South Korea. Through Transact24, Net1 offers debit, credit and prepaid processing and issuing services for Visa, MasterCard and ChinaUnionPay in China and other territories across Asia-Pacific, Europe and Africa, and the US. Through Masterpayment, Net1 provides payment processing and enables working capital financing in Europe. According to a July 2016 Google-BCG study, India’s digital payments industry will reach $500 billion by 2020, representing a 10-fold increase from current levels. The report predicts that more than 50% of India’s internet users are expected to use digital payments by 2020, and the top 100 million users are expected to drive 70% of digital payments by value. The report also predicts that the value of remittances and money transfers that will pass through alternative digital payment instruments will double to 30% by 2020. MobiKwik competes with the likes of Paytm, Snapdeal-owned Freecharge, Pay U, Mymobile, Oxigen Wallet and Udio in the mobile wallet segment. Paytm, backed by China's Alibaba Group, claims to be the leader in the digital wallet space with about 120 million registered users.